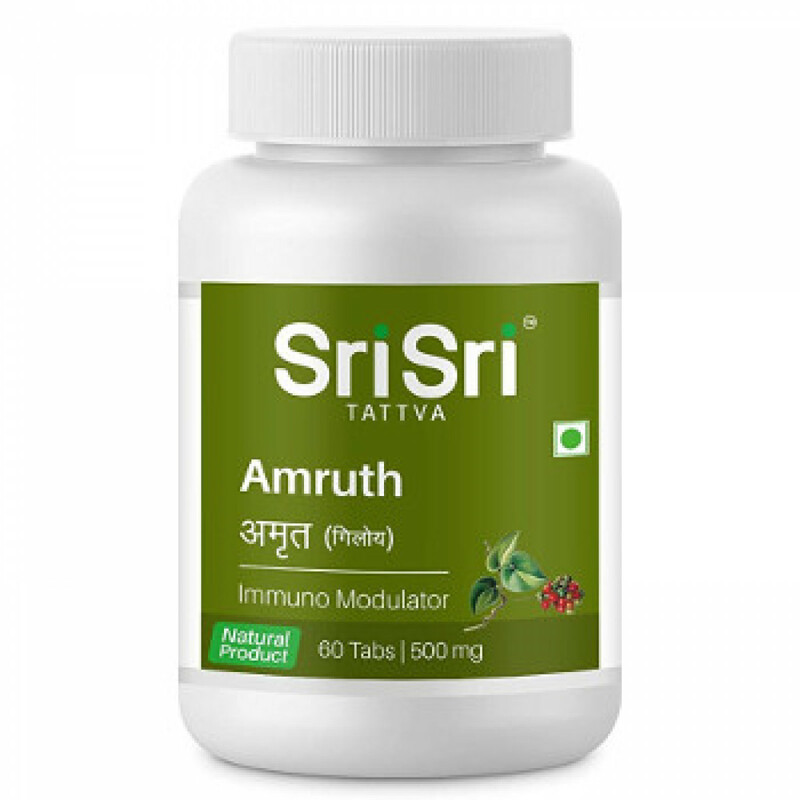 Amruth (Giloy, Guduchi) is one of the best purifying ayurvedic medicines. It reduces Ama (products of incomplete metabolism in blood). Giloy helps to expel all the toxins, produced by pathogenic flora, thus boosting immunity and vitality. It has diuretic and sudorific activity. Also Giloy is useful in some liver disorders and different fever-types. boosting of vitality and immunity. Indications: chronic and recurrent infections, various liver disorders, arthritis, as an adjuvant during chemotherapy. Content: 30% of pure extract of Tinospora Cordifolia, 70% of Tinospora Cordifolia powder. Dosage: 2-3 tablets twice a day or as prescribed by physician.